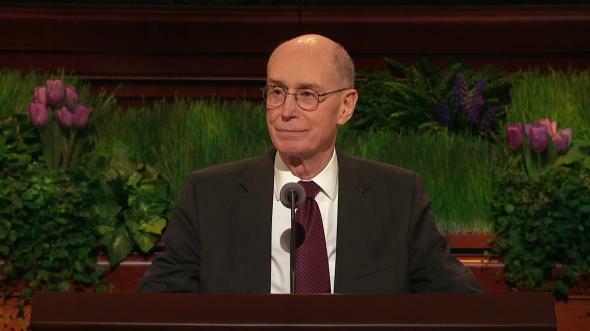 I would like to address my remarks this evening to you young men of the Aaronic and Melchizedek priesthoods who are planning on or contemplating serving a mission, and to those young men of the Aaronic or Melchizedek priesthoods who perhaps might be struggling as to whether or not they want to serve a mission. As the time for training and preparation came, I found all kinds of excuses not to go on the training rides. However, one Saturday I rode with them to the top of Parleys Canyon and back. It was hard, but I thought I would be okay. Little did I know! The time for the trip came. I joined my boys the second day of the trip, as I had meetings the first day. The journey that second day took us from Heber City to Roosevelt (approximately one hundred miles). The next day I hated to see the dawn come, knowing what it would be like to sit on that hard seat and pedal all day once again to reach our destination—especially the stretch from Vernal to Flaming Gorge, which would include approximately thirty-six-plus miles with grades up to 9 percent and ninety-degree-plus temperatures. Needless to say, for me the whole trip was a very trying and arduous task. But for my sons, who spent a lot of time waiting at the top of the hills for their slow, unprepared dad, it was exciting, fun, and rewarding. That evening as we arrived at our destination, I came to an easy, yet profound recognition of how poorly prepared I was for what should have been a great experience with my sons, but was not because I did not take the time to properly prepare. I resolved that night that I would never again be that unprepared. I went home and bought bicycles for myself and my two youngest sons, and started training and preparing so that by the time the next summer came, my sons and I could ride our bikes to Lake Powell, a distance of three hundred miles, which we did. The next year we cycled to St. George, and every year thereafter, we rode our bikes to Lake Powell until our mission call to Scotland two years ago. 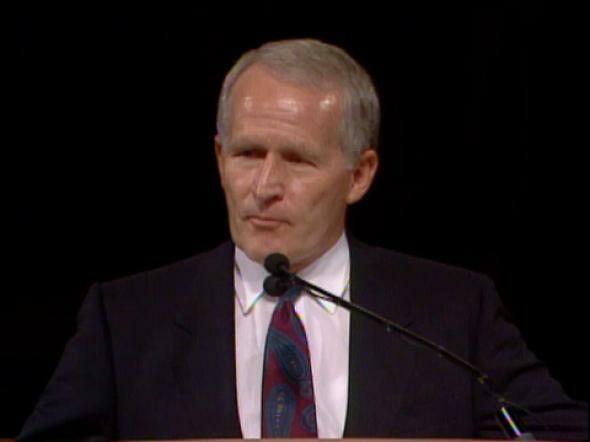 I plead with you, my young friends, to never be “ashamed of the gospel of Christ.” (Rom. 1:16.) 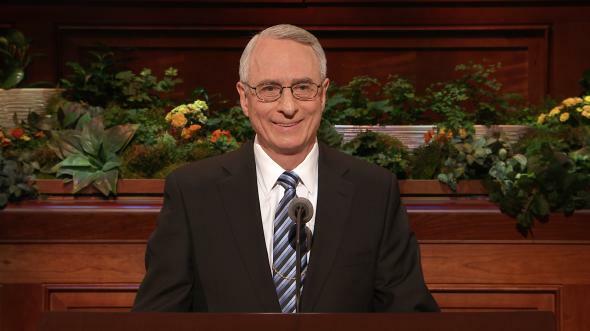 Prepare yourselves and make yourselves worthy to receive a mission call. Live clean, pure lives. 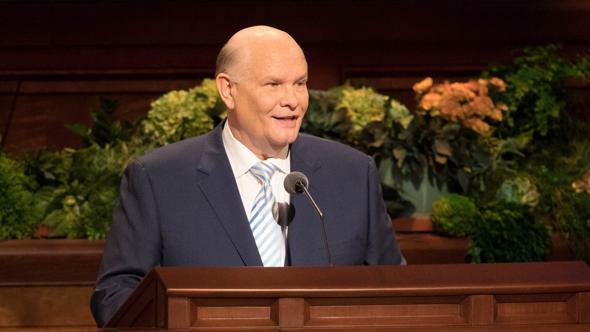 Study the scriptures—not just read, but study the scriptures—especially the Book of Mormon, as President Benson has counseled us to do. 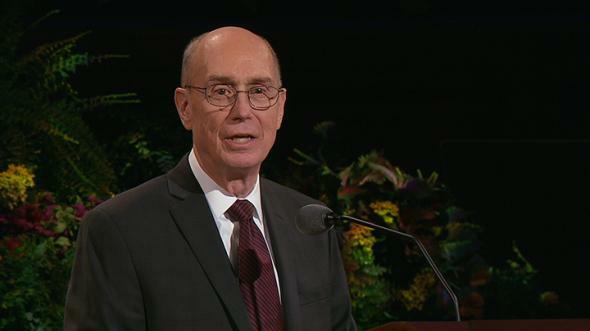 Be strong enough to live the Word of Wisdom and follow the counsel of your parents and priesthood leaders. I know you young men are growing up in a challenging world with all kinds of peer pressure. 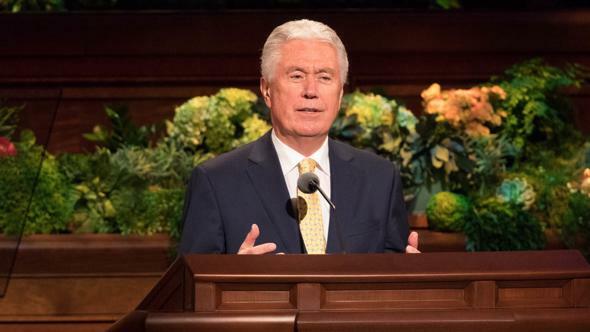 You may even be struggling with the decision of going on a mission because of your educational and vocational desires, or because of a budding musical or athletic career, or a serious girlfriend you may find hard to leave. I understand, because I have seven sons, as well as a son-in-law, who have had to make similar decisions. Yet each has made that decision to serve. I promise you young men that if you will commit and prepare to serve a mission, it will be the most rewarding and exciting experience of your lives. Yes, there will be many and varied experiences—yes, even humorous experiences, like the elder who shared with me how he and his companion got on the bus, and as they sat down, in the seat in front of them was a grandfather with a young grandson who was having a temper tantrum. Missionaries being as ingenious as they are, these two elders decided they would see what they could do to quiet the little boy down and help the grandfather. The boy had a baseball cap on. The elders proceeded to take the cap off his head and made a gesture like they threw it out of the window, but instead they quickly hid it under their seat. They then told the boy, as he felt his head, that if he wished hard enough he could wish it back on his head. The boy looked at his grandpa wondering what was going on, and as he did, the elders quickly put the cap back on his head. The boy immediately felt the cap on his head, took it off, looked at it again, and then proceeded to throw it out the window, saying, “Do it again, Grandpa!” I think the elders got off at the next stop. Yes, you may have many humorous experiences on your mission, but those experiences which will be the most joyful and rewarding to you, and which will be with you throughout eternity, will be the times when the Spirit will work through you to touch the lives of others, such as Sister Ciardo from Sardinia, Italy, who joined the Church and came to Scotland on a mission. As Sister Ciardo left for her mission, her mother would hardly speak to her and her father said she would never be welcome back home again. But the faith of this young lady brought forth a miracle. Approximately a year after Sister Ciardo had been on her mission, she came to see me one day with tears running down her face. She had a letter in hand from her mother. 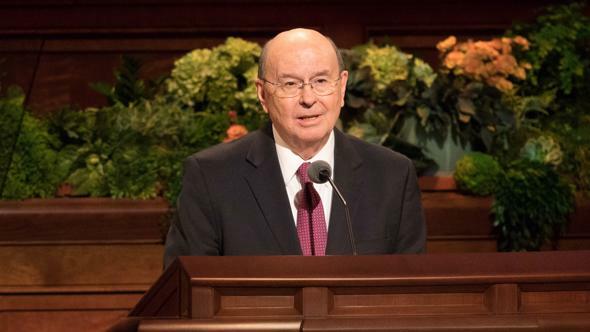 I, too, had tears come to my eyes as I read the letter telling her daughter she had been baptized and that her father was attending church and was going to listen to the discussions. 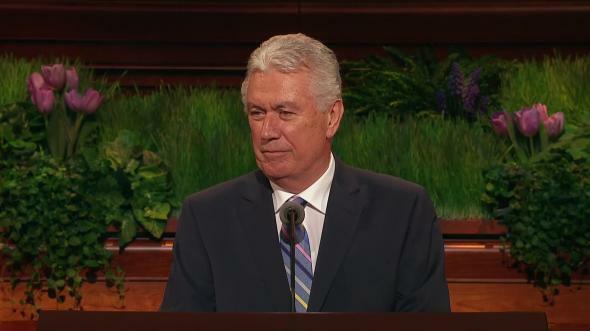 I think of a Tony Ridden and a Tracy McFall from Scotland who were baptized a couple of years ago, coming from backgrounds that you would never have thought this possible. 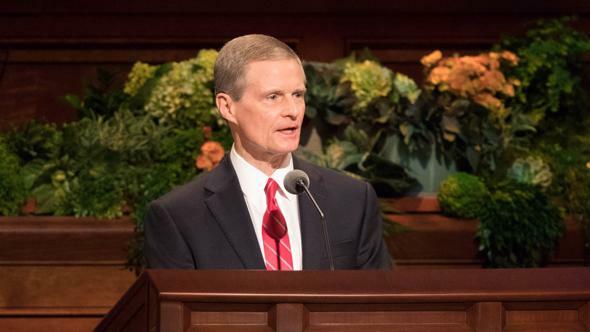 Yet both stood and spoke just a few months ago at their own missionary farewells with tears in their eyes, expressing love and gratitude for the elders who brought the gospel into their lives. Stay on the Lord’s side and you will find eternal joy and fulfillment. I bear my witness to you that Jesus is the Christ, the Son of God. This is His church. 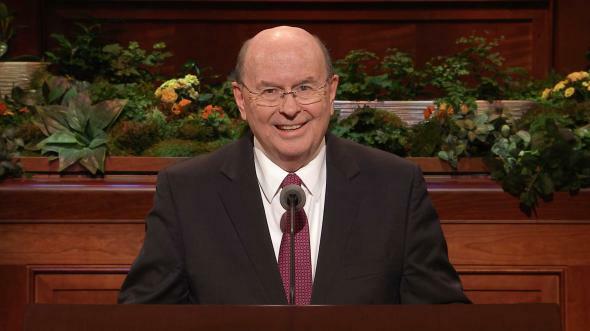 President Ezra Taft Benson is our living prophet, in the name of Jesus Christ, amen.